Since the establishment of the California State Board of Forestry in 1885, the mission of the California Division of Forestry has been to protect and preserve natural resources via a focus on resource management and protection of valuable watersheds. From the beginning, pioneers within the communities of San Bernardino County were actively involved in protecting their homes from the ravages of wildfire. In August 1930, San Bernardino County entered into a contract with the state to provide fire suppression and prevention on nonfederal lands within the county. The cooperative services agreement evolved to provide municipal fire protection services from both paid and volunteer staff. In addition to responsibilities within San Bernardino County, in the late 1980s the State Responsibility Area land within Inyo and Mono forestry units were consolidated under the San Bernardino, California Department of Forestry, Ranger Unit. 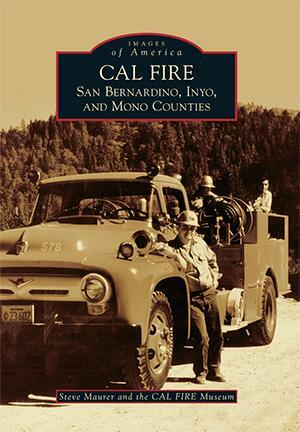 About the author: Retired CAL FIRE fire captain and author Steve Maurer is a volunteer for the historical society and museum of the California Department of Forestry and Fire Protection. He has spent many hours researching the department’s history within San Bernardino County and is also a volunteer with the Yucaipa Valley Historical Society.